Looking back the past few weeks, we have been mired in the dark and heavy, and not without good reason. But let’s take a pause for some sheer joy. Oh, and check out this performance on David Sanborn’s long-lamented “Night Music” program from long ago. Sheer magic. She sings in tongues. No, not that rolling, rockin’ version (as much as we are heavily RS in the RS vs. Beatles pop quiz). 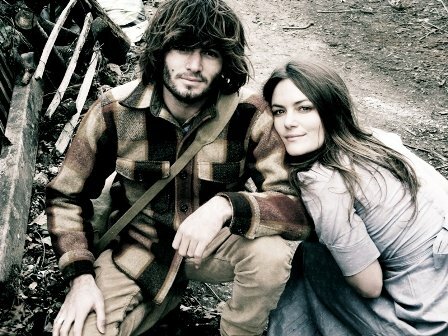 No, we’re talking the Australian sibling act, Angus and Julia Stone. These Stones first blipped on our radar a few years back when they caught a buzz in the music press. And then their cautionary song, The Beast, was featured in the impressive 2007 charity compilation album, “Big Change: Songs for FINCA” (FINCA is an international, non-profit microcredit innovator). And then some of you may have heard theses siblings in heavy rotation on “Greys Anatomy,” if you’re so inclined. We think you’ll like their well-crafted, casual-but-clever melodies, with frequent string backing (on first listen sometimes sounding too quiet storm-ish for us). Both the Stones sing in the higher register, which makes for easy harmonizing. Julia’s vocalese glides somewhere between Bjork and Joanna Newsom, while Angus is but a Josh Rouse or Al Stewart lower vocally (for those oldsters that know and like Mr. Stewart and his Year of the Cat, give Yellow Brick Road a listen). Earlier this year, the band released their self-produced record, “Down the Way,” which quickly became the Number 1 album in Australia. Once again, they diplomatically alternate on the record’s tracks like the good siblings they are. Once you get into step with the Julia-Angus-Julia-Angus format, the feng and the shui of their alternate-takes leaves a broader emotional architecture. Julia has an edge in her vocals and routinely renders the heart. Angus sounds comparatively languid and weary. Combined with the chamber-pop melodies and minimalism, and despite the occasional lyric failures, the Stones deliver a pleasing punch of restrained angst. Roll with these Stones, and check out a few of their songs off “Down the Way” and The Beast below. First up is Julia on the nostalgic Santa Monica Dream, which comes in all fingerpicky and soft, and then wrenches with Julia’s forget-him-not vocals (poor Rob) filled with remorse and impressions of infidelities. Seems sometimes we can’t quit on unrequited love, no matter the cost. Next up is Big Jet Plane, which reminds us of the recent flight patterns of a couple we know. This song features a rare (for this duo) bounding bass line that properly propels and relays a jet-fueled relationship. Hope we never disembark. And last is The Beast from the FINCA charity album. Chiding and beguiling, in one fell swoop. OK, we lied. Again. Finally, below is Angus’s stellar Draw Your Swords. With one reservation, we highly recommend the song (particularly for you Jeff Buckley fans). The referenced reservation is the song’s inclusion of a few jarring F-bombs. We hear the song as an ode to monogamy, and the F-bombs to be taken literally–an admonition to not “entertain” others. Starting with somber piano and hushed tones, the song builds to a howl, and then closes with Buckley reverence. No. 3, No. 4, No. 5, No. 6, on and on with this musician…. For us one artist could fill the remaining slots of The Real Country (in part, we know the limits of your twang patience). 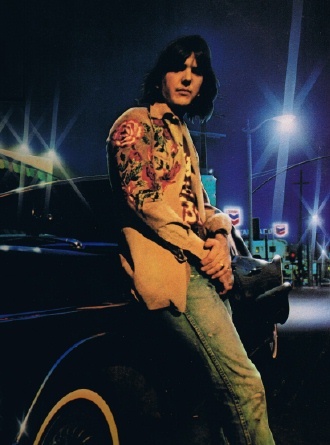 Gram Parsons represented and still represents THE real country music. No one else comes close. No one in that realm has ever touched the creative brilliance and soulful authenticity that showered across our blue skies for a handful of years and then plunged into darkness in 1973. It’s not even close. We’ll write another time in full about Gram [Lefort: A year later, it can be found HERE]. 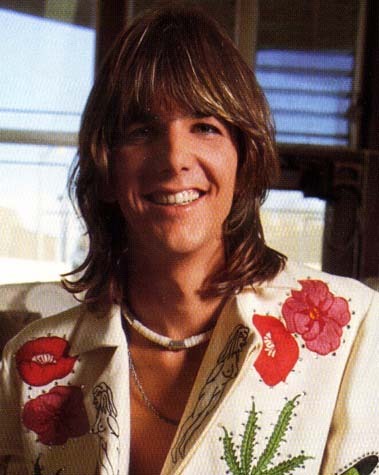 Suffice it to say for now that he invented the country rock genre, and played it out in the Byrds, the Flying Burrito Brothers, occasionally with the Rolling Stones, and solo (with Emmylou Harris). And he paved the way for the “outlaws” movement and enabled Willie Nelson and Waylon Jennings to restore real country music radio for a while. To this day his legacy remains strong, with the Santa Barbara Bowl recently hosting a phenomenal tribute concert to Parsons headlined by Keith Richards and Lucinda Williams. But until another day, we give you his defining song, In My Hour of Darkness. Glen D. Hardin opens and regales throughout on honky tonk piano. Emmylou Harris (who got her start with Parsons) co-wrote and sings like hell on this song (with Linda Ronstadt). And we hear in this song that while Gram bottled up pain (and the bottle and his songs in turn poured it back out), his faith prevailed. The chorus is testament. 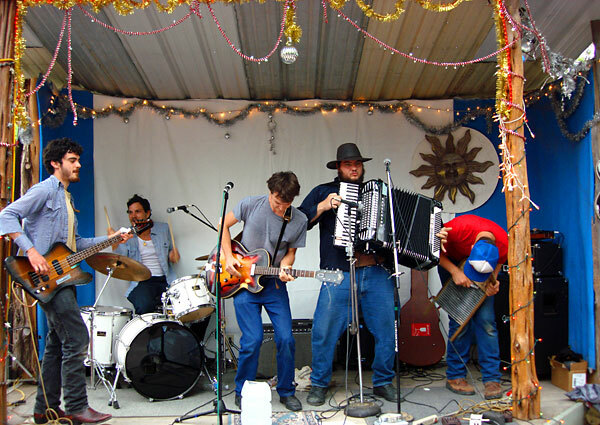 And to give you a flavor for this band live, below is the infectious Run Chicken Run. Via special delivery comes Typhoon, a paltry 16-19 member collection out of Salem and Portland, Oregon. 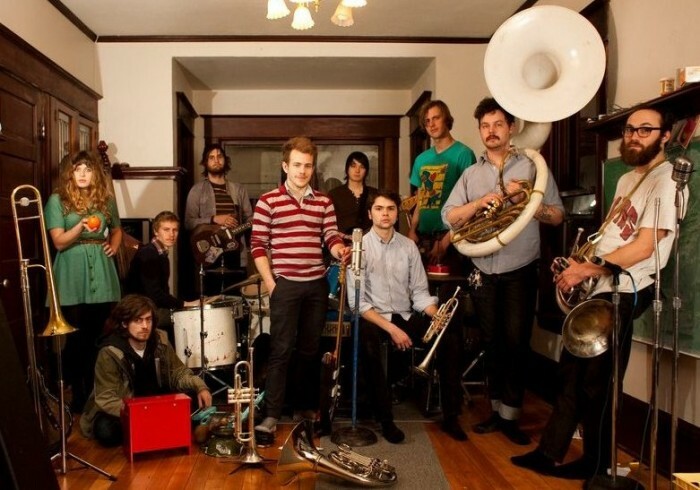 Taking various pages from the Edward Sharpe/Arcade Fire/Sufjan Stevens/Cake books of music, Typhoon uses its group vocals, horns, strings and dynamic feel to good effect on their most recent record, “Hunger and Thirst,” on Tender Loving Empire. The net effect may not (as yet) be as musically complex and challenging as fellow Oregonians, Hosannas or Menomena, but the promise is clear. 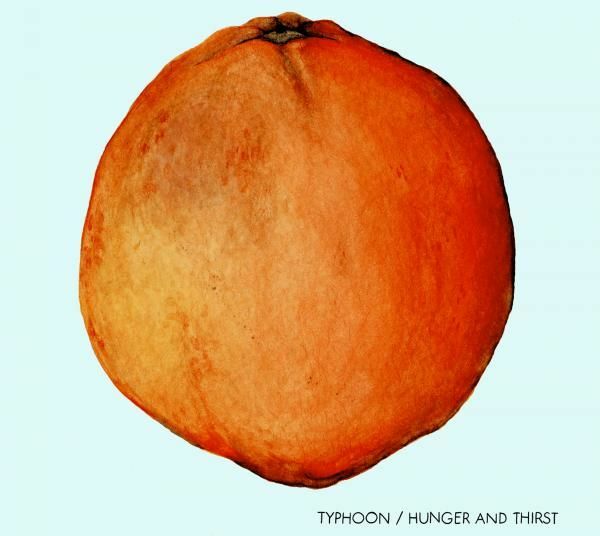 Typhoon is about to embark on a West Coast tour and will play in Santa Barbara on September 23rd, opening for their highly-touted label mates, Y La Bamba. Below are a few songs to give you a feel for the varying musical weather systems making up this Typhoon. First up is the opener on the new record, Starting Over (Bad Habits). We love the sparseness, harmonies (at 1:21 for example), entry of the horns (at 2:06) and build, and then abrupt back-off. Dynamics. Next up is the partly-acappella Ghost Train, with its reverent and revenantial feel, and great group harmonies at 1:35 and after. And finally, we have the record closer, The Sickness Unto Death, atypically sporting solo guitar accompaniment. Given recent events, this song resonates strongly these days. There are many other great tracks on “Hunger and Thirst” (especially White Liars and Belly of the Cavern) and the band’s other recordings so pick ’em up and give ’em their due. 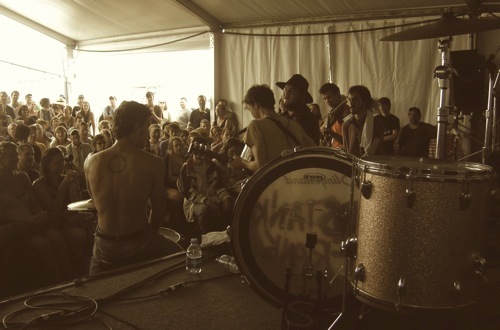 And check out their set at Muddy Waters on 9/23. For those that just can’t hang with the country music twang, we promise to get back to the other good stuff and mix it up. But we can’t resist passing along another bona fide country music song while we’re thinking about it. 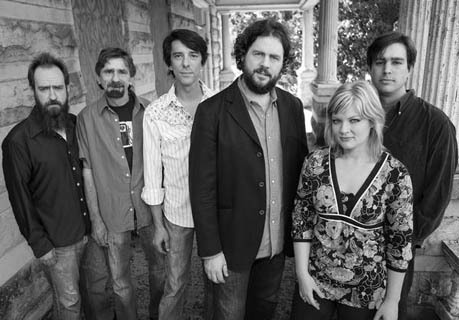 The Drive-by-Truckers hail from Georgia and Alabama, and have been killing for over a decade with their slamming and soulful live shows. And while we love their heartfelt (country) rockers, we really get the feel for the grain of this band from their mid-tempo and slow songs. 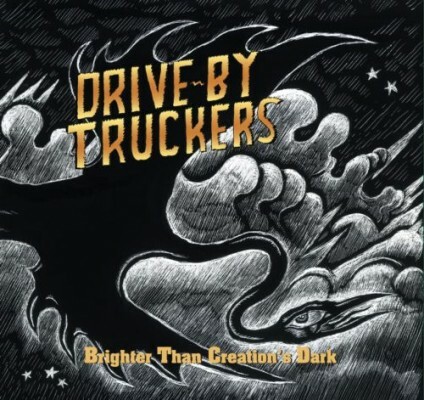 Listen to their languorous, soul-filled song, Daddy Needs a Drink, from their record “Brighter Than Creation’s Dark.” The pain is palpable. Our kingdom for a pedal-steel guitar. It’s funny these days how we seem to have to delicately ask people if they are fans of country music. To begin, neither the asker nor the askee knows WHICH country music is being asked about. Each may wonder if the reference is to the dreck that has taken up the large majority of “country” radio station playlists over the last 20-30 years, or whether it is the stuff that resonates within like each word was sung in your soul? Having listened almost exclusively to real country music in utero and until the Beatles showed up on The Ed Sullivan Show, we have a definite affinity with real country music. We may not be able to define “real country music” (though we will try in the posts to come), but we know it when we hear it. And with that as an intro, we are going to intermittently post songs that we believe define “real country” music and put the rest of that soul-less crud to pasture. You may be surprised at times by what we consider to be real country. We hope so anyway. 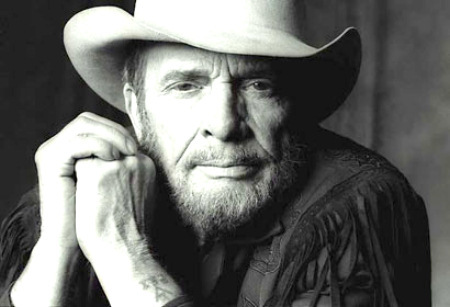 First up, for no particular reason, is Merle Haggard and his soaring ballad, If I Could Only Fly. We know that Haggard voices some interesting opinions that can make you scratch your head and/or groan. But there is no denying that he has written and sung some great songs over the years. This is one of those songs. You can really feel the regret and longing in this song. Check it out. 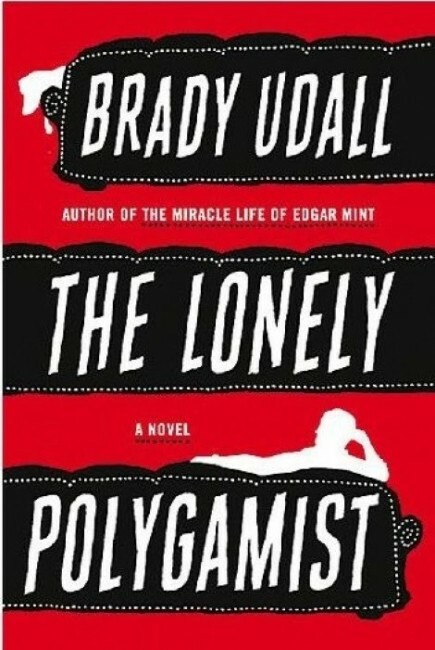 We just finished The Lonely Polygamist by Brady Udall. In Udall’s latest book we find Golden Richards, polygamist husband to four wives and father to a scant twenty-eight children. We were not surprised, then, to read that Golden is in the throes of a major midlife crisis. His construction business is falling down all around him (though the book is not set in current times, but a couple of decades ago), and his family and wives are extremely demanding and needy, and are embroiled in various internecine battles (there’s a shocker). Add to this milieu Golden’s grand canyons of grief for the loss of two beloved children and you’ve got the recipe for an alternately elegiac and surprisingly humorous novel that provides a unique vantage into the Mormon fundamentalist life (we don’t get HBO, so did not catch the Big Love series). We enjoyed Udall’s ability to humorously depict the polygamist regimen, and to rightly question many of the tenets thereof, but without undermining the effort with undue derision and finger-pointing. His is not a hateful, one-dimensional screed, but instead an insightful, fair sketch of the pains and joys of the polygamist life (and, ultimately, our modern lives). Udall thankfully employs a more graceful approach (though never failing to expose some of the ridiculous underpinnings and irrationalia on which the faith and lifestyle is based). We were drawn in to the book because of its potential to explore many of the concerns of our current times and relationships with spouses and children, only amplified by the polygamist setting. In this, in particular, Udall has delivered in spades. At times we were concerned that the book would devolve into a Hiaasen-esque series of environmental/development-related pratfalls, but instead Udall uses Golden Richards’ polygamist predicament to illumine how we can possibly increase our storerooms of love and be more present in a life that demands more and more of each of us, each day. While we were somewhat repulsed initially by the subject matter, ultimately Udall deftly maneuvers us to see the capacities we hold, even in the most challenging of circumstances. This is a great read and very well written (Udall is at his best as a wordsmith in the italicized sections of the book). The Gorillaz’ Damon Albarn is a pop genius. He laid the foundation with the bountiful Blur and gave us some of the best songs written in the last 20 years (Song 2, Tender, etc.). Amidst the blur of Blur, Albarn struck out in the new millennium with Gorillaz, a cartoon/videogame “band” that has enabled Albarn to constantly substitute new “voices” for each of the band’s cartoon members. Albarn took a hiatus from the Gorillaz to birth the band, The Good, the Bad and The Queen, and then to reunite and tour with Blur. But Albarn is back with the Gorillaz with a vengeance. In the Gorillaz latest, “Plastic Beach,” Albarn has reiterated that this band is not a joke or a hoax, but instead an animated, organic animal on which he intends to let his creative genius ride. On “Plastic Beach” Albarn has included in the mix such varied performers as Mos Def, Bobby Womack, the Clash’s Mick Jones and Paul Simonon, Snoop (whatev), The Fall’s Mark E. Smith, Little Dragon and De La Soul. Great songs and performances abound. Stylistically, Albarn and his crew delve deeper into hip-hop and rap to go with the electronica, Krautrock, 80s-style synth-pop, and many others. It took us a while to gauge this gargantuan effort, but we gradually got it. Simply put: “Plastic Beach” is the Gorillaz’ King Kong. Highly recommended, so check out a few songs from “Plastic Beach” below. The first song on anyone’s list has to be On Melancholy Hill, with it’s sonorous melody and delivery. Albarn pays perfect homage to great 60’s British balladeer, Scott Walker, while putting up a bit of a challenge to Albarn’s contemporary, ex-Pulp member, Richard Hawley (more on his solo balladry another day). The refrain “If you can’t get what you want, then come with me” is particularly affecting. It’s a beaut. And finally, Rhinestone Eyes is a mordant monster. 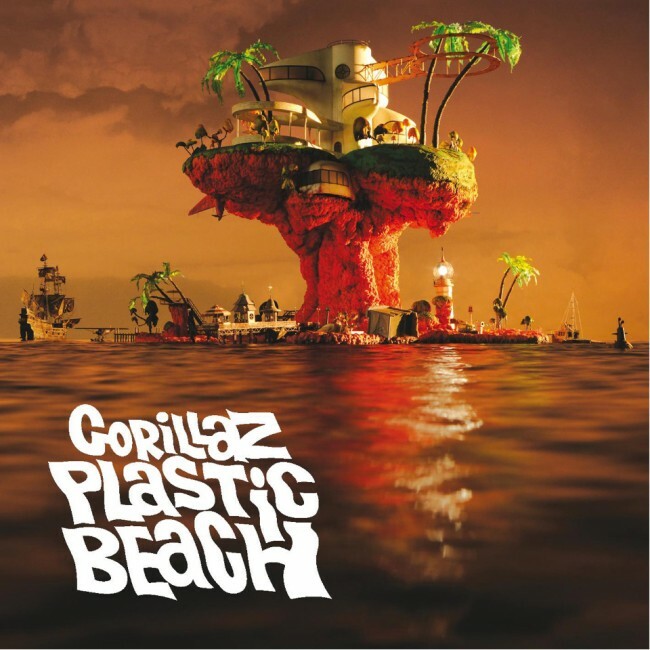 There are many, many more great tracks (check out, in particular, Empire Ants, Superfast Jellyfish and the title track) on “Plastic Beach” so we encourage you to pick it up soon. The pop bar has been set extremely high for 2010. The world lost at least two of the saints last weekend, and is indeed falling down. We know there’s another realm, though, that is lifting and lifted up as a result of these losses. Rest in peace, saints. You are and will be missed. 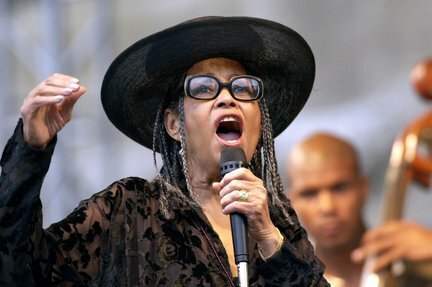 Abbey Lincoln passed away on Saturday at the age of 80. She was one of the greats of jazz who was a supreme composer, lyricist, vocalist and bandleader, a rare combination. 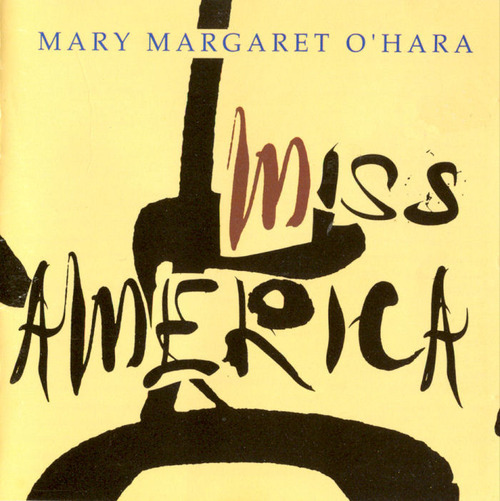 Her composition, The World is Falling Down, is one of the all-time greats. No one will replace her. After that great, but lyrically heavy, song some of us might need the other side of the coin while we balance on its edge. None have stamped that other side of the coin better than The Staples Singers.